The largest and most comprehensive survey of Jamie Wyeth's work ever to be assembled is on display at the Brandywine River Museum of Art. 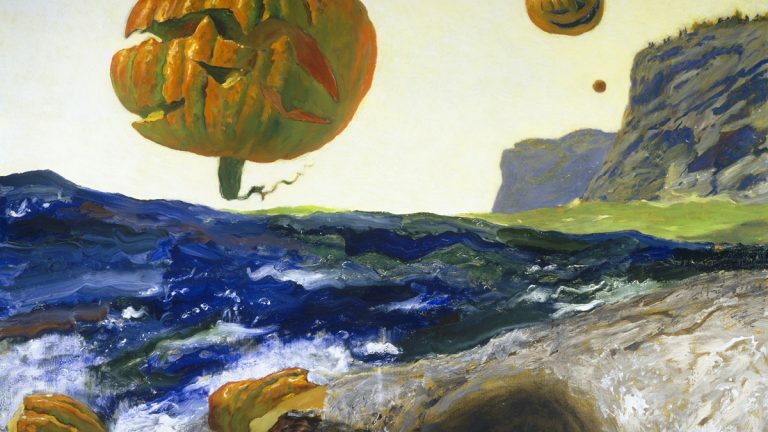 Pictured: The Headlands of Monhegan Island, Maine, 2007 by Jamie Wyeth (photo courtesy of the Brandywine River Museum of Art). Celebrate the bicycle, Mark Twain, Oscar Wilde, Jamie Wyeth, mummies, prehistoric marine reptiles, and more! Robin Bloom shares her picks for what to do this week. The East Coast premiere of Oscar is coming to Philadelphia beginning with a series of events to celebrate its arrival. Opera Philadelphia brings this noteworthy work about compassion and forgiveness by American composer Theodore Morrison (his first opera), to Philadelphia with countertenor David Daniels as Oscar Wilde. 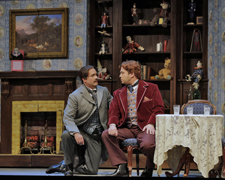 The production, co-commissioned and co-produced with the Santa Fe Opera, is a modified version of the original, introducing the acclaimed writer at the height of his celebrity, just before his downfall, trial and imprisonment for gross indecency because of his homosexuality, with a libretto by the composer and John Cox. Five performances take place February 6-15 at the Academy of Music. Wilde, an iconic figure in the struggle for gay and universal human rights, is celebrated with related programs and events including A Taste of Opera: Wilde and Whitman in Song, Monday, January 26, excerpts from Oscar with rare musical settings of works by the two artists, at the Free Library of Philadelphia (free). Also, the exhibit Everything is Going on Brilliantly: Oscar Wilde and Philadelphia, on display January 23 through April 26 at the Rosenbach Museum and Library. Plus, LGBT Night, a conversation with David Daniels, and more. Photo by Ken Howard. Arden Theatre Company teams up with Michael Hollinger for Under the Skin, on the Arcadia stage through March 15. 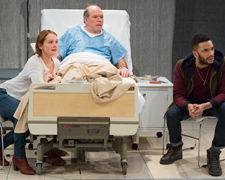 The world premiere play about a man dying of kidney failure who asks his estranged daughter to give him one of hers focuses on the dynamics between parents and children and explores the question of what it means to give a part of yourself to someone else. Last time the local playwright and Terrence J. Nolen, the Arden’s Producing Artistic Director, worked together (for Opus in 2006), the production went on to be produced off-Broadway to great acclaim. Related programs and events include post-show discussions, open captioned and audio described performances, and Teen Arden, 40 N. 2nd Street, Old City, Philadelphia. Pictured: Julianna Zinkel, Craig Spidle, and Biko Eisen-Martin. Photo by Mark Garvin. PAPAYA (PA Performing Arts for Young Audiences) returns to the Painted Bride Art Center for a second season with live performances designed to engage young audiences. 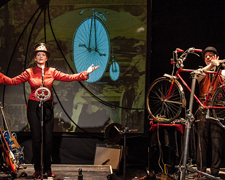 Award-winning Toronto artist Evalyn Parry celebrates the bicycle with SPIN, an innovative performance inspired in part by the true story of Annie Londonerry, the first woman to bicycle around the world in 1894. Using a variety of instruments including guitar, water bottle, shruti box, bicycle, loop pedal, and electronic effects, the musical and theatrical journey introduces little-known female characters from history through Indie folk songs and stories for a multigenerational audience, Saturday, January 24, 1pm and 5pm and Sunday, January 25, 12pm and 4pm with a school matinee on Friday, January 23, 10am. Performances include a talkback with the artists and an opportunity for audience members to experience the PAPAYA LAB, 230 Vine Street, Old City, Philadelphia. Recommended for ages 8 and up. Photo by Ed Maruyama. 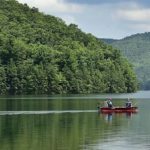 Act II Playhouse pays tribute to a great American storyteller with Mark Twain Unplugged. 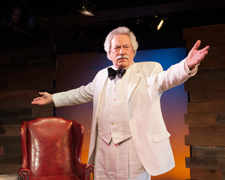 The world premiere show, written by and starring Tom Teti (in a white suit, as Twain is often depicted), is a witty recreation of one of his legendary speeches in the mid-19th century, directed by Act II’s Artistic Director Tony Braithwaite. 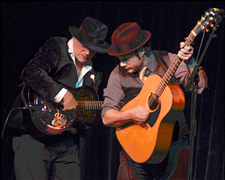 Featuring live music from the time period performed onstage by Sonny Leo, through February 8, 56 E. Butler Avenue, Ambler, PA. Photo by John Flak. 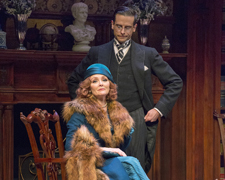 The Millionairess takes to the stage at University of Delaware’s Resident Ensemble Players January 22 through February 8. George Bernard Shaw’s fast-paced, satirical comedy about a spoiled heiress and her quest to find a suitor is directed by Ian Belknap and features free pre-show presentations and post-show talkbacks with cast members, Roselle Center for the Arts, 110 Orchard Road, Newark, Delaware. Photo by Nadine Howatt. Learn about the enormous and deadly prehistoric marine reptiles that ruled the Jurassic seas while their dinosaur counterparts walked the Earth with Dinosaurs of the Deep at Adventure Aquarium, an immersive, larger-than-life experience that brings you face-to-face with more than 20 creatures. 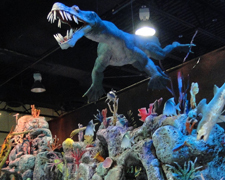 See 5,000 square feet of life-sized species, ancient fossils, a coral reef with prehistoric animals, interactive activities, and more, through July 5, 1 Riverside Drive, Camden, NJ. Photo by PaleoFun. View the largest and most comprehensive survey of Jamie Wyeth’s work ever to be assembled, on display at the Brandywine River Museum of Art, in the Brandywine Valley, his childhood home and location of his first studio. The major retrospective provides a full overview of six decades of his work and examines his distinct approach to realism. 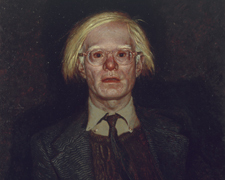 Featuring more than 100 pieces from his childhood drawings, paintings during his time in New York with Andy Warhol (pictured), book illustrations, large scale portraits of animals, works that depict the landscapes of the Brandywine Valley and coastal Maine, to two new (2013) miniature compositions painted and sculpted at one-sixth life scale, never before shown. Accompanied by a 208 page catalogue through April 5, Route 1, Chadds Ford, PA. Jamie Wyeth travels next to San Antonio Museum of Art. 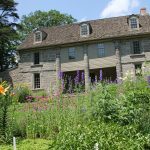 The Brandywine River Museum of Art is renowned for its holdings of the Wyeth family of artists and features galleries dedicated to the work of N.C., Andrew and Jamie Wyeth. Pictured: Portrait of Andy Warhol, 1976. For 33 years, Somerville Manning Gallery has displayed work by members of the Wyeth family and in conjunction with the major retrospective at the Brandywine River Museum of Art, presents Jamie Wyeth – Paintings from Six Decades. 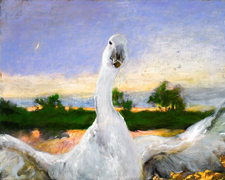 The solo exhibition of paintings spanning the artist’s career, from the 1960s to present, features oil paintings, watercolors, mixed media, portraits of animals and the Maine landscape, and many newly completed paintings shown publicly for the first time, through March 7, Breck’s Mill, 2nd Floor, 101 Stone Block Row, Greenville, DE. Pictured: The Angered Swan, 2014. Get an intimate glimpse of a period of cultural transformation in American history withBackstage Pass: Baron Wolman and the Early Years of Rolling Stone, on display at Reading Public Museum January 24 through May 10. The exhibit explores how photographers and editors of Rolling Stone guided the creation of the “rock star” persona, from concert, to cover, to icon, with 35 framed photographs, contact sheets, and original covers of artists like Jimi Hendrix, Janis Joplin, Frank Zappa (pictured), and Jerry Garcia. 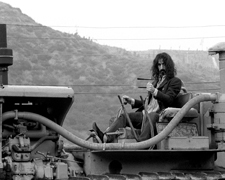 Curated by Ben Ahlvers, gallery director at the Lawrence Arts Center in Lawrence, Kansas and organized by ExhibitsUSA, 500 Museum Road, Reading, PA. Photo by Baron Wolman. “No challenge poses a greater threat to future generations than climate change,” said President Obama in his latest State of the Union speech. 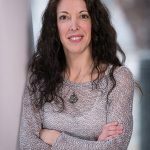 Philadelphia photographer Zoe Strauss takes on this pressing issue with Sea Change, on display January 23 through March 6 at Haverford College’s Cantor Fitzgerald Gallery. The new exhibit puts a spotlight on the dramatic consequences of global warming with 52 photographs, vinyl prints, and projected images that focus on the aftermath of three ecological disasters: Hurricane Katrina in 2005 in the Mississippi Gulf Coast, 2010 BP Deepwater Horizon oil spill in Southern Louisiana, and 2012 Hurricane Sandy in Toms River, NJ and Staten Island, NY. 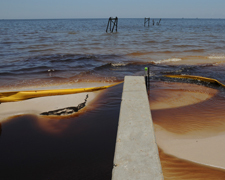 A gallery talk with the artist and writer Mattathias Schwartz and Haverford College Professor of Chemistry Helen K. White takes place on Friday, January 23, 4:30pm with an opening reception following at 5:30pm, 370 Lancaster Avenue, Haverford, PA. Pictured: Oiled Water Coming Inland, Waveland, Mississippi, Early July, 2010 by Zoe Strauss. The Landscape Before Me: Cape Cod, the largest exhibition of Philadelphia photographer James B. Abbott’s work to date, is on display through February 6 at St. Joseph’s University Gallery. 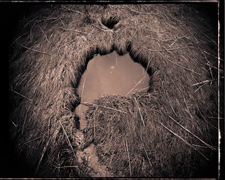 Large scale, black and white, multi-image panoramas depict a changing landscape of shifting tides, dunes, seasons, and the subtleties of moors and marshes taken over 15 years and during Abbott’s time spent in the Outer Cape Artist-in Residence Consortium in the Peaked Hill dunes of the Cape Cod National Seashore. A public reception is Thursday, January 22, 5pm, Merion Hall, 355 N. Latches Lane, Merion Station, PA. Pictured: Moor, Provincelands, Cape Cod National Seashore, 2005. 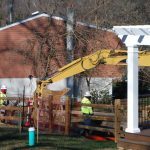 The Philadelphia Home Show continues this weekend Friday, January 23, 10am-9pm, Saturday, January 24, 10am-9pm, and Sunday, January 25, 10am-6pm at the Pennsylvania Convention Center, 12th and Arch Streets, Philadelphia.Mercer Museum asks what makes a house a home with House and Home, January 24 through March 15. 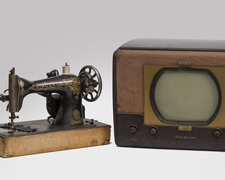 The new exhibit explores how the American home has changed over time with home construction materials and models, domestic and household artifacts from cooking utensils to telephones to toys, videos about contemporary trends in residential buildings and community developments, hands on elements and more, 84 S. Pine Street, Doylestown, PA. Pictured: Singer Sewing Machine 1912 and RCA Victor television c.1949-1950. Mason Porter brings their blend of folk, rock, blues and bluegrass to Burlap and Bean along with Beaucoup Blue, the Philadelphia based father and son soulful blues duo (David and Adrian Mowry), Saturday, January 24, 8pm, doors open at 7:30pm, The Shops at Springton Pointe, 203 South Newtown Street Road, Newtown Square, PA. Pictured: Beaucoup Blue, photo by Robert Berkowitz. The music ensemble Relâche performs Mummies Outside the Box, the latest Music for the Mystery of Silents at Penn Museum, Sunday, January 25, 3pm, with musical accompaniment to The Eyes of the Mummy, the 1918 film by the German Director Ernst Lubitsch. The afternoon features a premiere of a score by Philadelphia composer Mike Stambaugh, a rock-oriented musical mystery by New York composer Galen Brown, and Panache, its commission from Wisconsin’s Joseph Koykkar. Arrive at 2pm and take a mummy tour in the Museum’s galleries, 3260 South Street, Philadelphia. Pictured: Ptolemaic or Roman Period Funerary Mask (after 300 B.C.E. 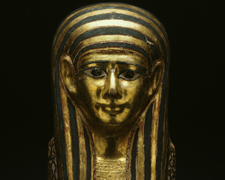 ), from the Egyptian collections at the Penn Museum (Photo courtesy of Penn Museum).